Our camp scavenger. Note the white tipex make on the hip. 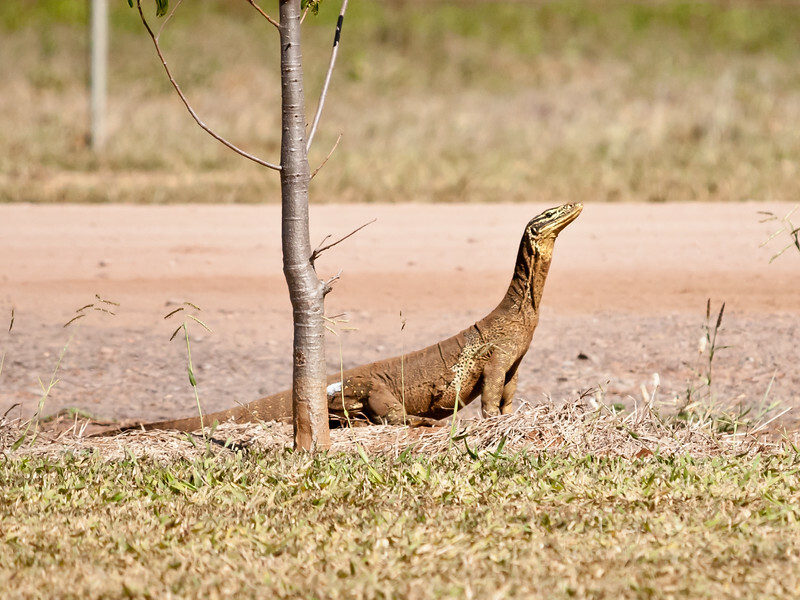 This was put there by our herpetologists indicating the goanna had already been "processed" by the team.